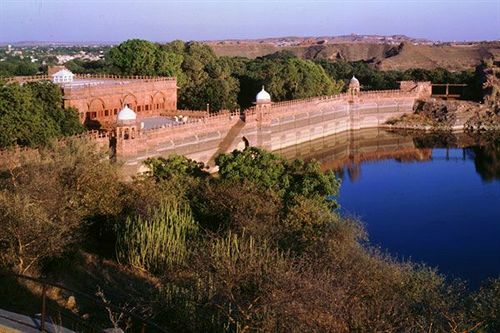 To experience the rich heritage of the Royal Family of Jodhpur Bal Samand Lake Palace is the right place. 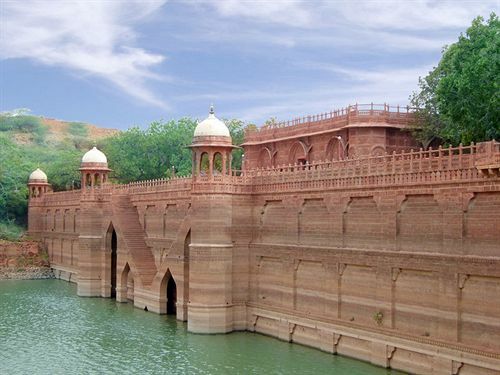 It is made with red sandstone and is designed in the famous Rajput Style. It is located in the center of the city and lies only 5 kilometers north of the city. 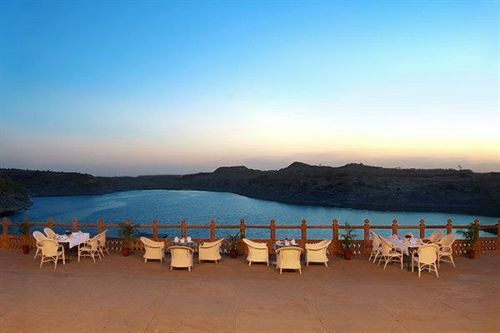 The hotel lies close to major tourist destinations like Umaid Bhawan Palace, Jaswant Thada, Mandore Gardens and Mehrangarh Fort. The airport and the bus stand are about 5 kilometers away while the train station is 8 kilometers away. 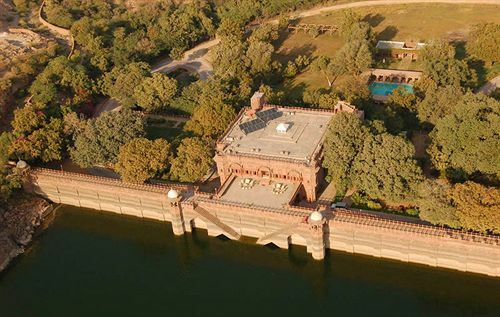 The Palace was built in 1114 AD and spread over an area of 192,000 sq feet is a beauty to behold overlooking the Bal Samand Lake. The well maintained gardens are quite magnificent. 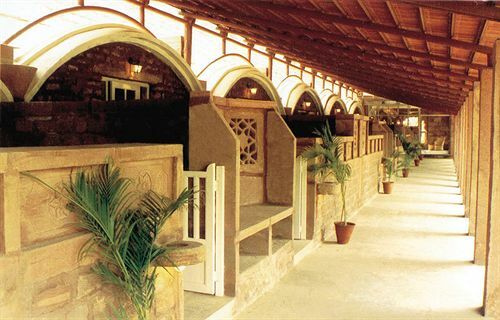 The Palace offers a variety of services for a perfect luxurious experience. 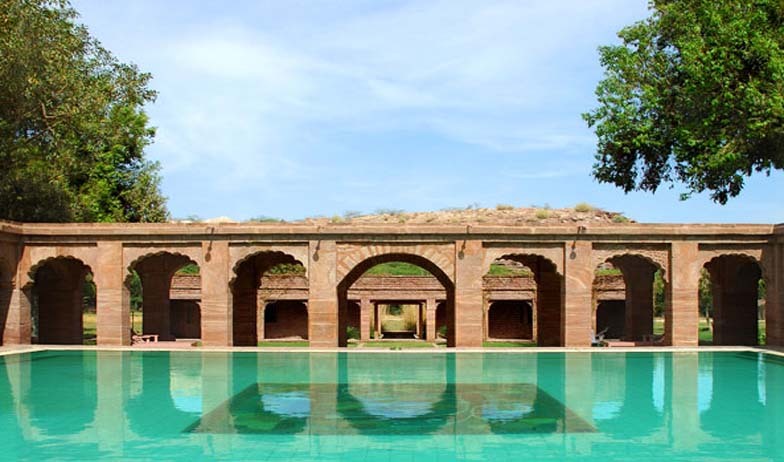 The palace has a huge swimming pool, a well-equipped fitness center and health spa. To practice your talent in golf the palace also offers a 9-hole golf course. 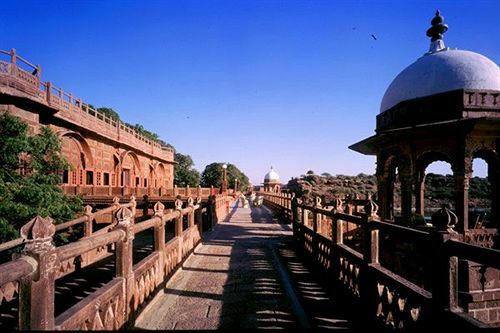 The palace is quite adept at handling conferences and banquets in its conference halls and the manicured gardens. 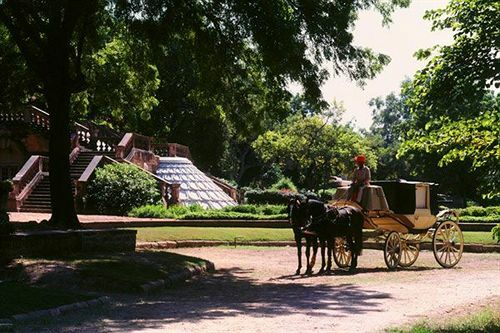 The palace also offers rejuvenating activities like horse riding, cycling, nature trail walk, yoga, village safari, horse buggy rides and cultural performance which can be arranged on request. Sand dune experience can also be enjoyed here. It is an ideal place for a wedding ceremony with its pomp and splendor. Various services offered here include currency exchange, business center, laundry services, doctor on call, car hire services, travel desk and astrologer/palmist on call. 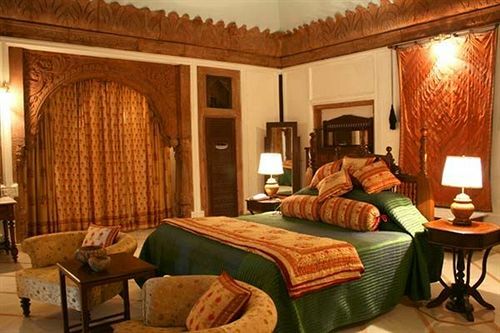 The palace has a total of 36 rooms divided into Maharani Suites, Regal Suites and Garden Rooms. 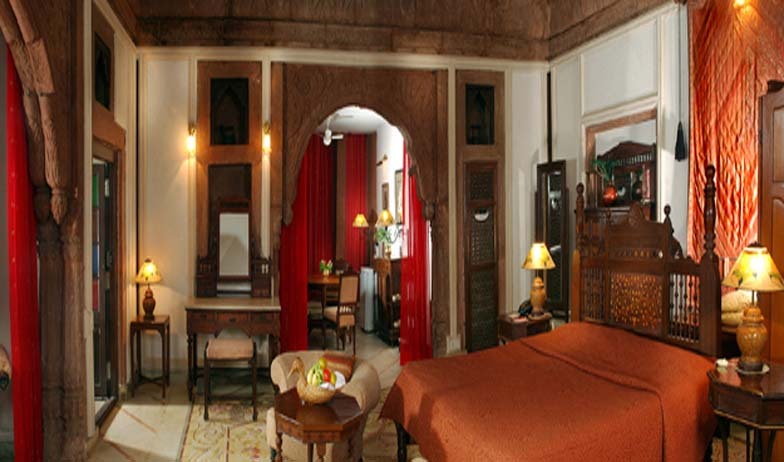 All the rooms come with round the clock room service and all are fully air-conditioned. The palace also has a coffee shop, restaurant and a bar. 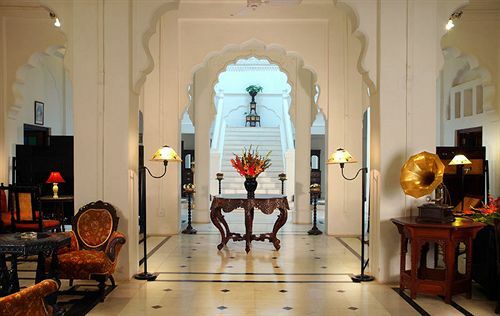 The Maharani Suites do justice to their names. They live up to the whole luxury tag with its plush interior and the design. The suites include a bedroom, living room and a dining room. 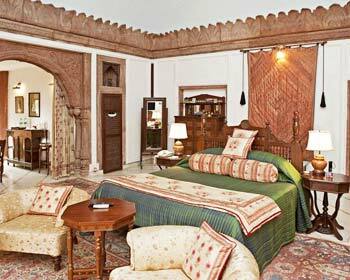 Everything is designed with utmost opulence with its king size bed, designer carpets and drapes that transfer one to an old world charm. The various amenities offered include hair dryer (on request), climate control, direct dial telephone and LCD T.V with Satellite Channels. The suite comes with a large bathroom and necessary toiletries with shower/tub combination. Regal Suites are beautiful and luxurious. 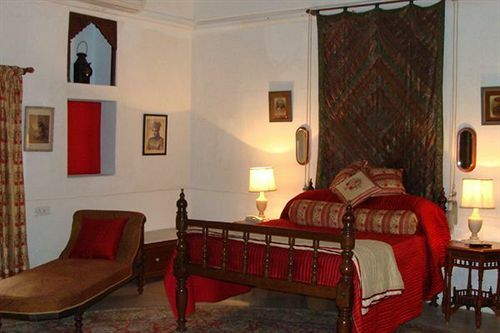 The suites come furnished with a king size bed and include a dining room and a living room. 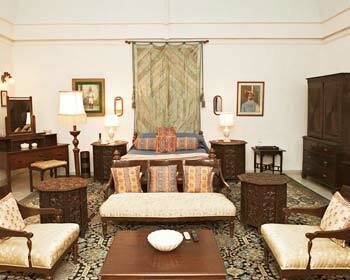 The suite boasts of a fabulous living experience with its richly textured drapes and marble floors. The suite has an attached bathroom that is large and comes with complimentary toiletries and bathrobes. The services provided here include climate control, hair dryer (on request), direct dial telephone, Satellite T.V. Garden rooms offer a splendid view of the fabulous gardens and are designed with splendor in mind. 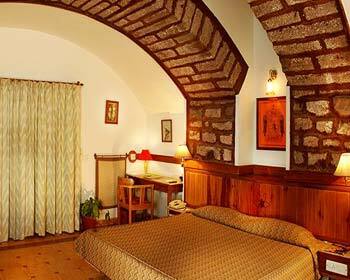 The rooms are furnished with a huge king-size bed and the interior is pretty to look at. The in-room services offered include Satellite T.V., hair dryer (on request), direct dial telephone. The bathroom comes with essential toiletries, shower/tub combination and bathrobes. 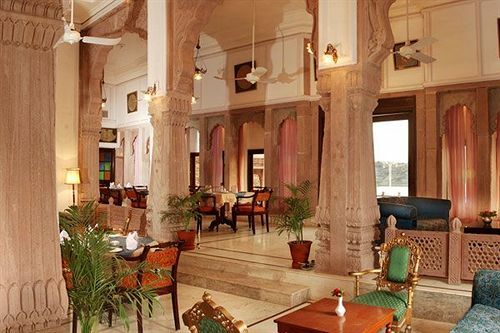 The palace has a Garden restaurant that offers indoor sitting as well as al fresco dining. The restaurant serves Indian, Chinese and continental cuisine. While the spread of various dishes is quite mouth-watering the ambience also intensifies the experience. 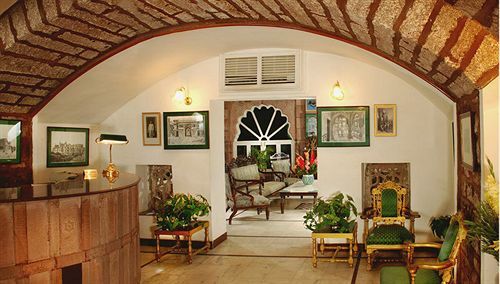 The Retreat is the in-house coffee shop in the palace. 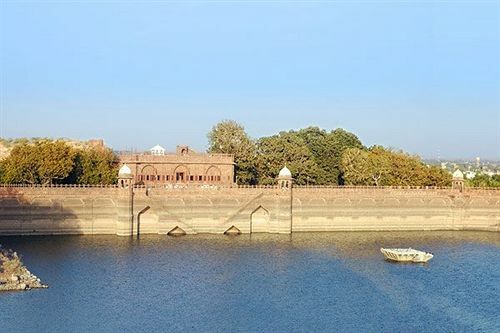 The Shop overlooks the magnificent Bal Samand Lake and is housed in the main palace building. The retreat also serves multi-cuisine dishes. Savoring a cup of coffee while breathing in the view is absolutely stunning. 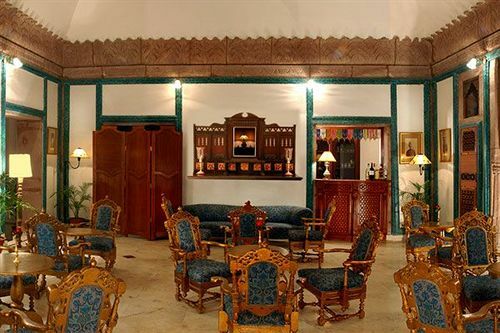 The Palace also has a bar adjoining The Retreat. The bar caters to the ever refined taste of any connoisseur. The lounge bar has quite a collection of Indian and international liquor to fulfill your every sense.